Losing a child is one of the greatest fears of parents. This morning, I am sharing my review of an inspirational novel released early this year that takes a deep, spiritual and emotional look at the aftermath of suicide. What did I think of The Dreaming Road by Elizabeth Moore? On​ ​a​ ​spring​ ​morning​ ​in​ ​early​ ​May,​ ​Diane​ ​wakes​ ​up​ ​to​ ​find​ ​her​ ​beautiful​ ​16-year​ ​old daughter,​ ​Callie,​ ​lying​ ​dead​ ​on​ ​the​ ​floor​ ​of​ ​her​ ​bedroom.​ ​The​ ​police​ ​find​ ​a​ ​suicide note​ ​in​ ​Callie’s​ ​jewelry​ ​chest​ ​and​ ​Diane’s​ ​whole​ ​world,​ ​as​ ​she​ ​had​ ​previously​ ​known it,​ ​falls​ ​apart. In​ ​the​ ​afterlife,​ ​Callie​ ​meets​ ​her​ ​great​ ​grandma,​ ​Ellie,​ ​who​ ​tells​ ​her​ ​that​ ​she’s​ ​in​ ​a part​ ​of​ ​heaven​ ​called​ ​Summer​ ​Wind​ ​and​ ​can​ ​never​ ​return​ ​home​ ​again.​ ​She​ ​wrestles with​ ​her​ ​abrupt​ ​and​ ​impulsive​ ​decision​ ​to​ ​take​ ​her​ ​own​ ​life​ ​and​ ​witnesses​ ​the​ ​impact that​ ​this​ ​event​ ​has​ ​on​ ​all​ ​who​ ​love​ ​her. Diane​ ​begins​ ​a​ ​desperate​ ​search​ ​for​ ​answers​ ​by​ ​tearing​ ​apart​ ​Callie’s​ ​bedroom​ ​looking​ ​for​ ​anything​ ​that might​ ​tell​ ​her​ ​what​ ​drove​ ​her​ ​daughter​ ​to​ ​suicide.​ ​She​ ​visits​ ​Joy,​ ​a​ ​spiritual​ ​healer,​ ​who​ ​tells​ ​her​ ​that​ ​she must​ ​learn​ ​to​ ​seek​ ​the​ ​gift​ ​in​ ​her​ ​experiences​ ​rather​ ​than​ ​remaining​ ​addicted​ ​to​ ​her​ ​guilt​ ​and​ ​pain.​ ​Diane struggles​ ​with​ ​letting-go​ ​of​ ​the​ ​daughter​ ​she​ ​once​ ​knew​ ​and​ ​all​ ​her​ ​hopes​ ​and​ ​dreams​ ​for​ ​the​ ​future. Desperate​ ​to​ ​reassure​ ​her​ ​mother​ ​that​ ​she’s​ ​okay,​ ​Callie​ ​attempts​ ​to​ ​communicate​ ​with​ ​her​ ​from​ ​beyond the​ ​veil.​ ​They​ ​both​ ​begin​ ​a​ ​heart-wrenching​ ​journey​ ​to​ ​find​ ​one​ ​another​ ​once​ ​again. 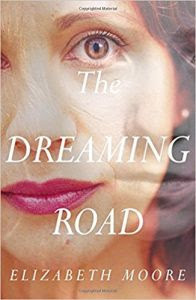 The Dreaming Road is an Emotional and Inspirational Story of Love and Loss. 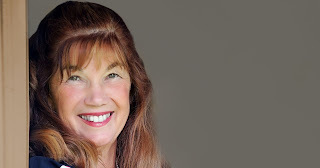 While this novel is fictionalized, the author creates a heartfelt story with an almost memoir-like feel as she draws on personal emotions and experiences encountered in processing and coping with the loss of her own daughter. Readers will immediately be drawn to the realism and the emotions faced by the novel's characters as they move through the storyline. Readers should expect to experience emotional moments as they read--some passages are difficult to read. The author writes in a very down to earth, emotionally-driven style that is both inspirational and heartbreaking at times. Readers Should Expect to Read with an Open Mind. The author poses connections to an afterlife that may not settle easily with every reader. No matter your faith, or your thoughts and experiences with suicide or the loss a loved one--I think the author's perspectives presented in this novel make it a fascinating piece that touches the mind and the heart. I would encourage readers to read the novel with an open mind and open heart to the possibilities shared by the author. Would I Recommend The Dreaming Road by Elizabeth Moore? The author paints the scenes of this novel so clearly and with so much real-world emotion and perspective that it is impossible to put down. The Dreaming Road is a book that will touch and inspire from the first few pages. I recommend the book to those seeking a fictional novel with a stronger, spiritual, emotional depth. This novel touches the heart and leaves the mind points to ponder long after the final page. Elizabeth​ ​Moore​ ​is​ ​an​ ​associate​ ​professor​ ​of​ ​nursing​ ​and​ ​internationally​ ​recognized​ ​author​ ​in​ ​her field.​ ​The​ ​early​ ​death​ ​of​ ​her​ ​own​ ​daughter​ ​inspired​ ​a​ ​personal​ ​journey​ ​to​ ​find​ ​a​ ​continued connection​ ​between​ ​them​ ​and​ ​led​ ​to​ ​the​ ​writing​ ​of​ ​her​ ​first​ ​novel.​ ​She​ ​lives​ ​near​ ​Nashville, Tenn.,​ ​with​ ​her​ ​three​ ​dogs,​ ​Beau,​ ​Buttons​ ​and​ ​Bramble.​ ​Visit​ ​her​ ​at​​ ​​www.thedreamingroad.com​.